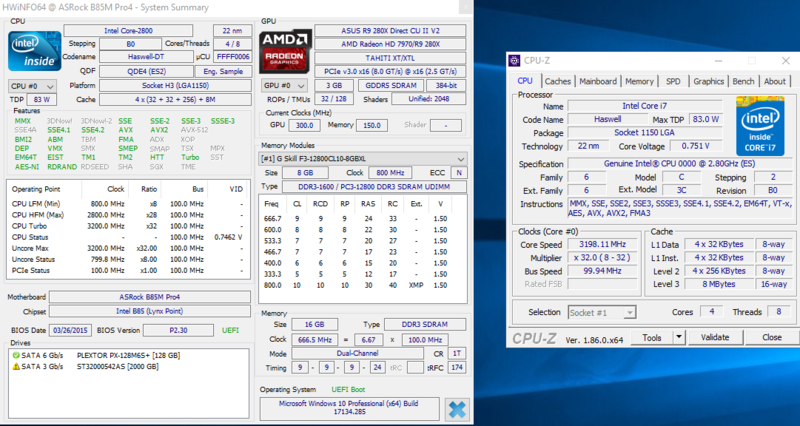 I have a cpu es code name is QDE4 a.k.a 4770k 2.8/3.2Ghz can run normally with my Asrock B85m-pro4 . I want to upgrade to m.2 nvme ssd so I bought Asrock Z97-extreme6 but it can't run with my es cpu . The debug code in motherboard is 2b (26) . So, please help me for the modded bios can run es cpu QDE4 stepping b0 . I have some hard time with ES cpu. The problem come with Intel ME firmware, find what need to be, but is hard to downgrade. Also may be is easier if just downgrade specifik early BIOS with right intel ME.